The 2015 Jones Cup entered its third day of competition yesterday, with Russia and Iran extending their win streaks, Korea breaking into the win column, and Taiwan’s Team A defeating the USA selection. 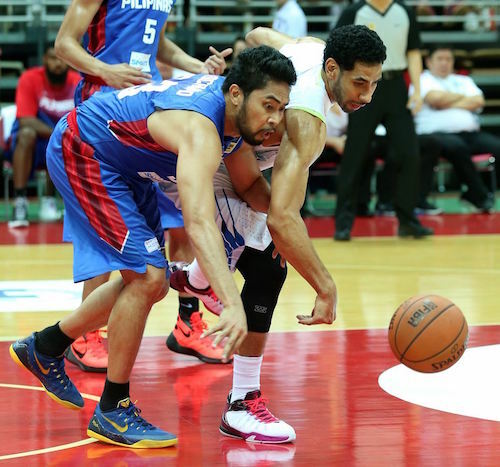 Ranidel de Ocampo goes for the loose ball against Moon Tae-Young. Here are the complete results from Day Three! Russia remained undefeated at the William Jones Cup, holding off a stiff challenge from New Zealand behind Konstantyn Glazyrin's 24 points, 16 points and 9 rebounds, Alimdzhan Fedyushin's 14 points and 7 rebounds, and an explosive offense that saw eight different players score seven or more points. Russia managed to overcome a dreadful display from three, finishing 3-of-23 from beyond the arc, though it made up for it by hitting 31 of their 38 free throws. The charity stripe was ultimately the difference, as New Zealand missed 21 of the 43 free throws it earned on the day. 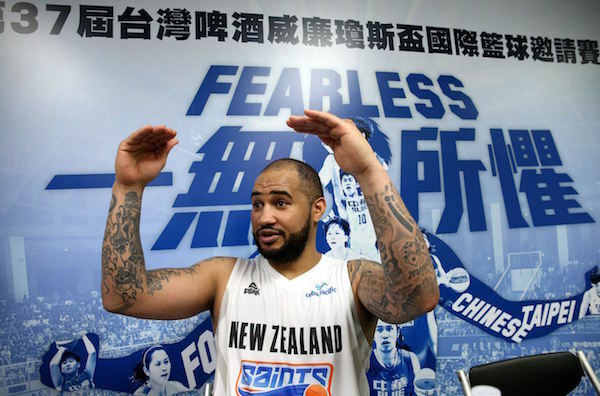 Kevin Braswell (25 points, 5 steals), former Syracuse star Eric Devendorf (22 points), and Bryan Davis (18 points, 11 rebounds) were excellent for New Zealand, though they weren't enough to top a tough Russian side. Playing coach Kevin Braswell of New Zealand after their close loss. Iran continued its winning ways at the William Jones Cup, knocking off Japan, 78-57, behind a balanced attack led by Hamed Haddadi (14 points, eight rebounds) and Mahdi Kamrani (12 points). 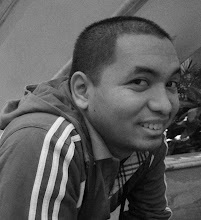 Japan, meanwhile, was led by Joji Takeuchi's 16 points and 9 rebounds. 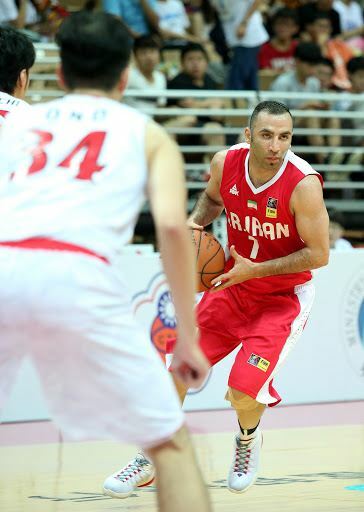 Iran was in control throughout, holding Japan to just 22 first-half points while finishing 7-of-19 from beyond the arc. 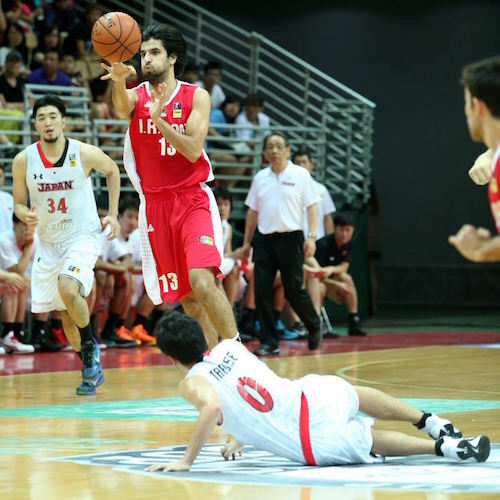 The undefeated Iranians will next face New Zealand, while Japan will have a day off before taking on Gilas Pilipinas. Mahdi Kamrani continues to be as efficient as ever. Mohammad Jamshidi flicks a forward pass to Sajjad Mashayekhi. A day after opening its tournament with an impressive win over Chinese Taipei Blue, Gilas Pilipinas fell to South Korea, 82-70. Versatile forward Lee Seung-hyun led the way for South Korea with 19 points, while Moon Tae-jong was a beast on the block, scoring 17 points and adding 12 rebounds. Terrence Romeo did everything he could to fuel Gilas Pilipinas, scoring 23 points, but only Gary David also seemed up to the task, scoring 16 markers. The game was a tight affair heading into the final quarter, with the score knotted at 54 apiece before South Korea exploded for 28 points in the fourth. 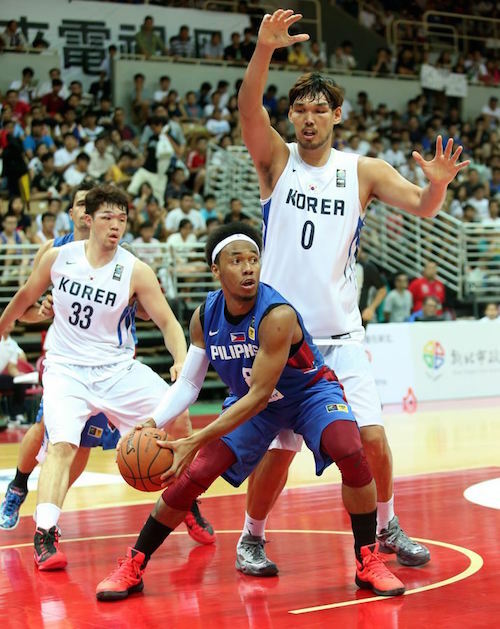 Calvin Abueva is trapped underneath by Ha Seung-Jin. 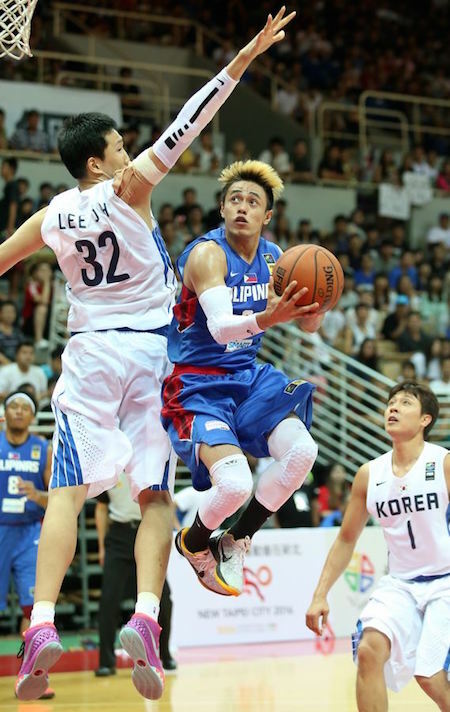 Terrence Romeo goes underhand against Lee Jong-Hyun. Despite big games from Cory Bradford (19 points) and Marquin Chandler (18 points, five rebounds), the United States fell to Taiwan Blue on Monday, 96-77. Taiwan jumped out to a 27-13 lead in the first quarter and never looked back, paced by Liu Cheng (14 points, 6 rebounds), current SBL MVP Chen Shun-Hsiang (14 points), and Quincy Davis (13 points, six rebounds). The United States managed to close the gap somewhat in the second quarter, heading to halftime down 42-34, but Chinese Taipei pulled away again in the third, outscoring the Americans 28-19 in the quarter and giving themselves an insurmountable 17-point lead. 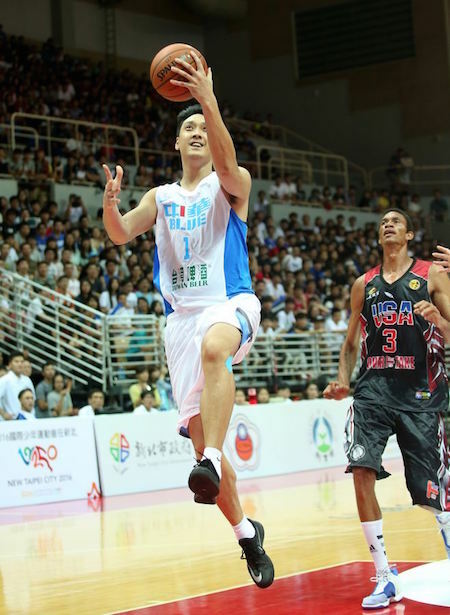 Liu Cheng rifles off a three as Taiwan beat Team USA. Tien Lei coasts to an easy lay-up as Keith Closs can only look on. 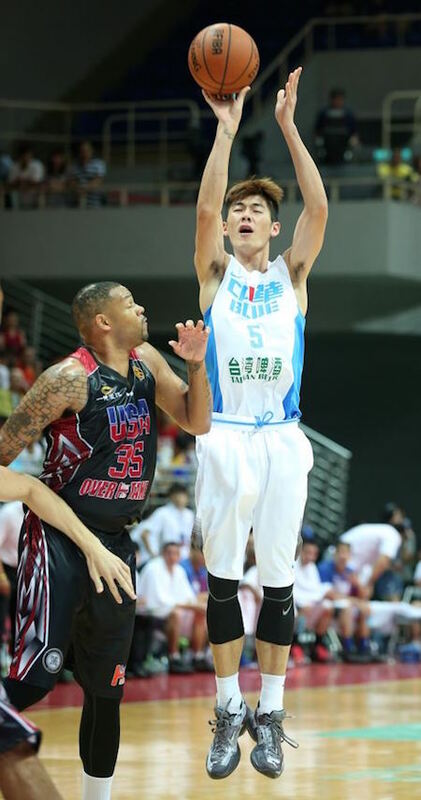 Wu Tai-Hao shoots over former PBA import Marquin Chandler. All images are from Yahoo! Taiwan.